David Frazer, photo by Scott Lapham. In 1978 David Frazer began teaching at the Rhode Island School of Design, and he is still there in 2016, as head of the painting department. 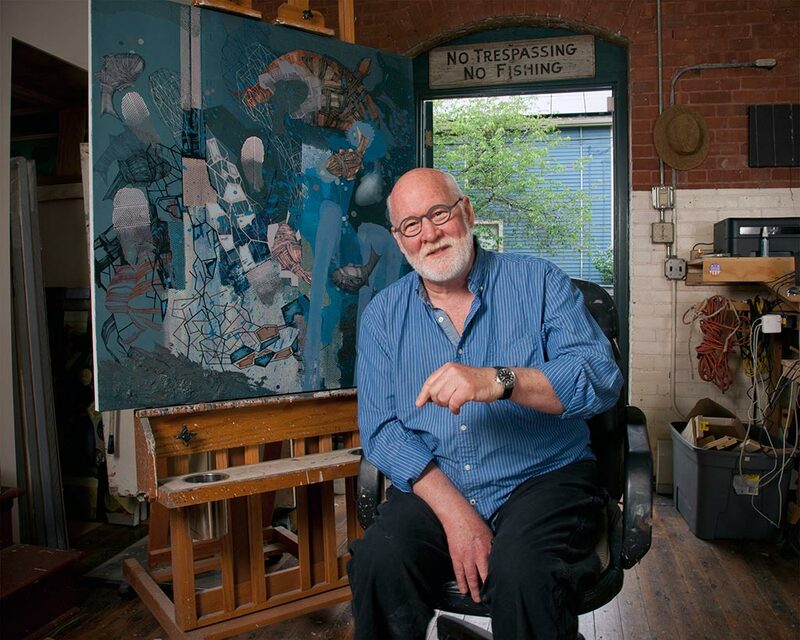 Frazer received his BFA from RISD in 1970, and as a participant in the European Honors Program, he traveled in Italy and The Netherlands, becoming influenced by the painting techniques of Giotto and Piero della Francesca. He later became the chief critic of the RISD/Rome program, the first alumnus to do so. Frazer obtained an MA in painting from the University of New Mexico. 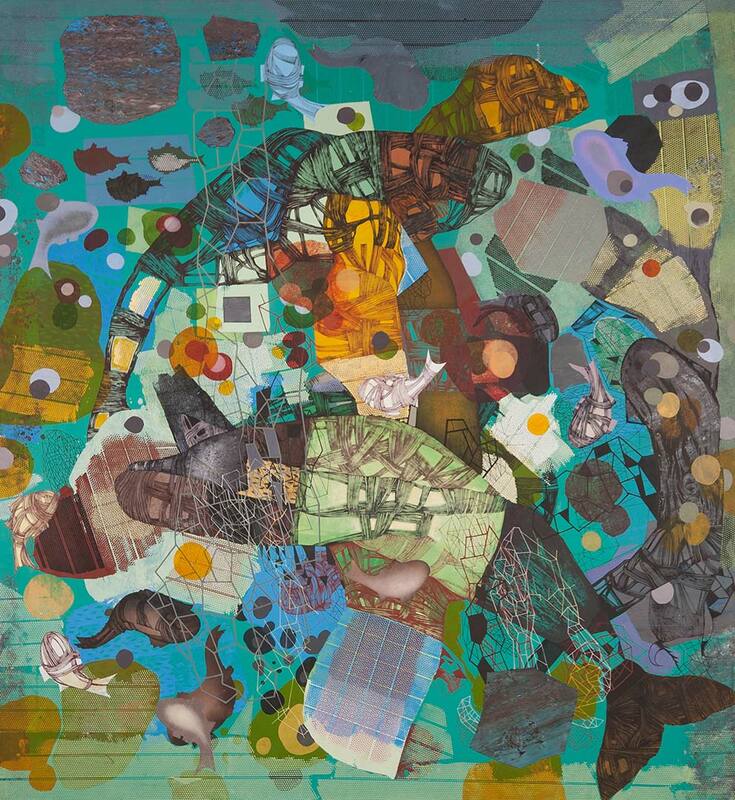 Collage and abstract expressionist painting inform his aesthetic and structural process; although his paintings allude to printing or transfer techniques, they do not use them. His work is primarily abstract and improvisational and plays with symbolic images. Frazer’s paintings have been exhibited nationally and internationally, including in South Korea and China, where he has also been a visiting artist and lecturer. Oil on canvas, 72 x 66 in.